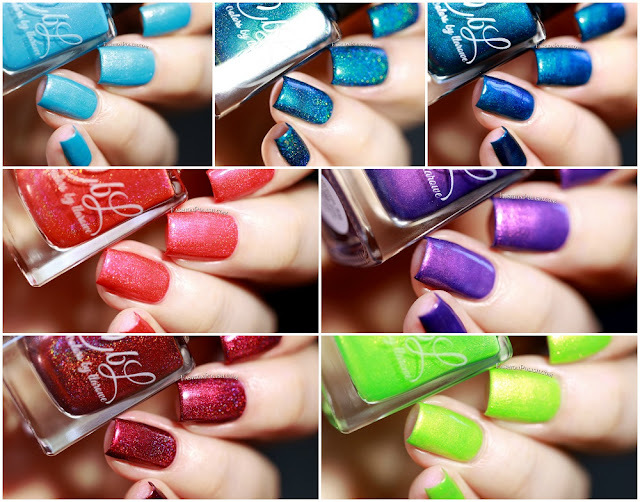 Fashion Polish: Colors by Llarowe Spring/Summer 2017 collection swatches & review! I'm back today, a little late to the party, to share with you my swatches of the upcoming Colors by Llarowe Spring/Summer 2017 collection. They're all launching tomorrow, along with a couple of Charity polishes, so make sure to get your wishlists ready in time for the preorder! The Bluest Eyes in Texas is a bright milky turquoise blue creme with an intense gold shimmer and hints of gold to red/pink to green colors-hifting shimmer. 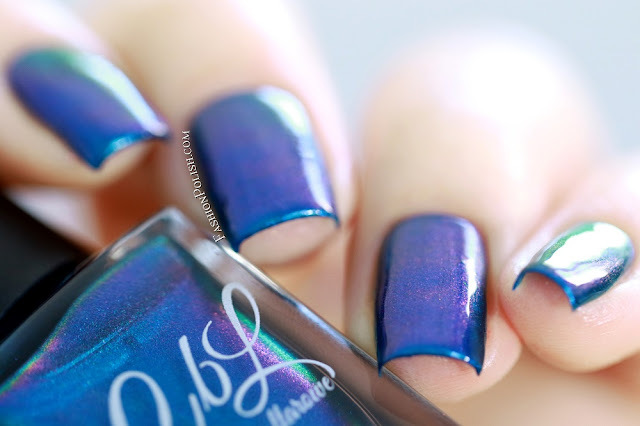 This polish was inspired by Leah Anne's sister's eyes. 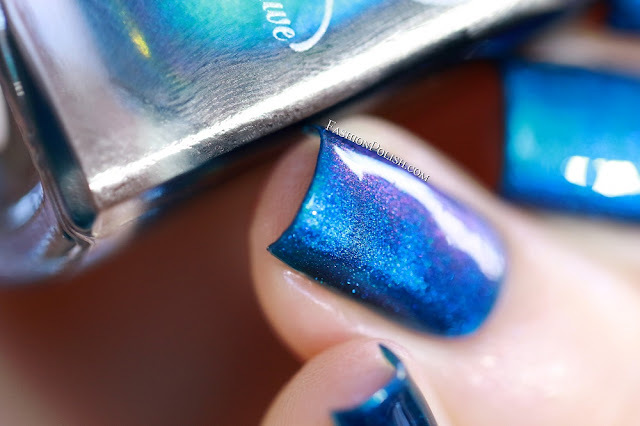 Great formula and a 2 coats coverage. 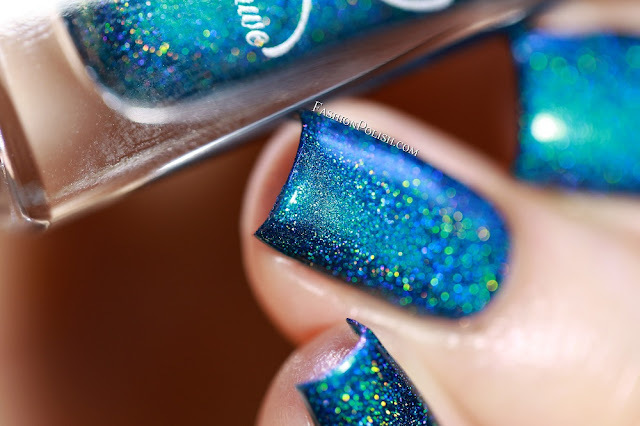 The Deep End is a bold turquoise based multichrome that shifts turquoise/green/blue/purple/pink. 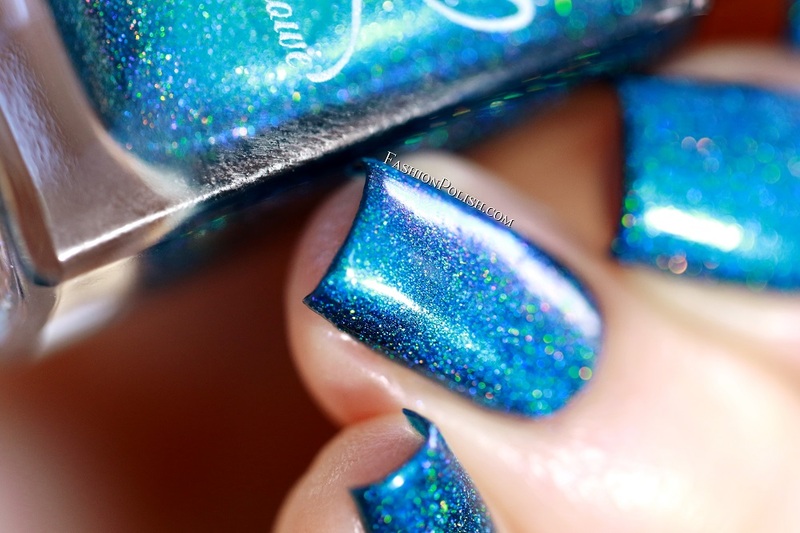 A gorgeous polish with an intense color shift and awesome coverage! I used 2 coats plus topcoat (first two pictures under artificial lighting and last two under natural lighting). 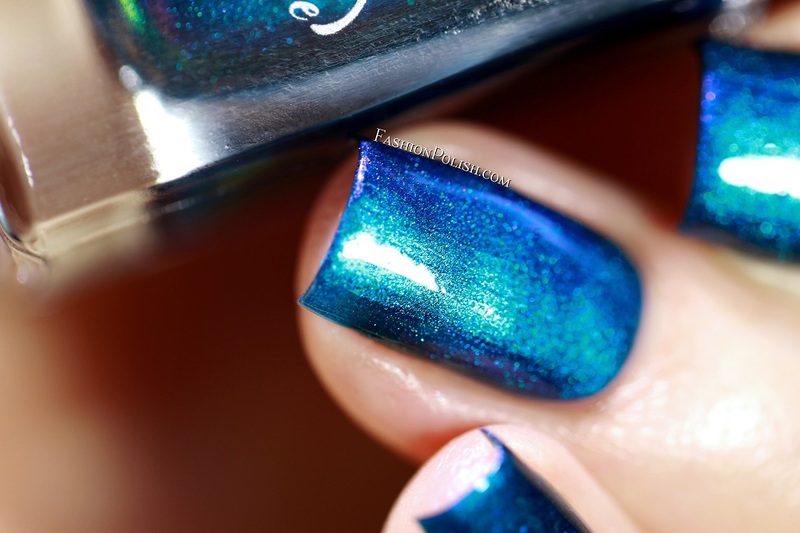 Colors by Llarowe The Deep End (H) is the linear holo version of The Deep End. The multichrome looks slightly more subdued to me but omg this polish rocks! Shown below, 2 easy coats plus topcoat under artificial + natural lighting. Dream Big is an indigo purple creme base infused with a strong pink to gold to red shimmer. 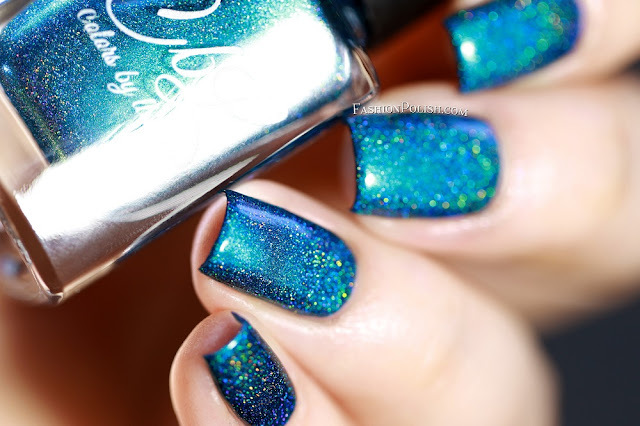 A gorgeous color and one that would look perfect in the Summer. 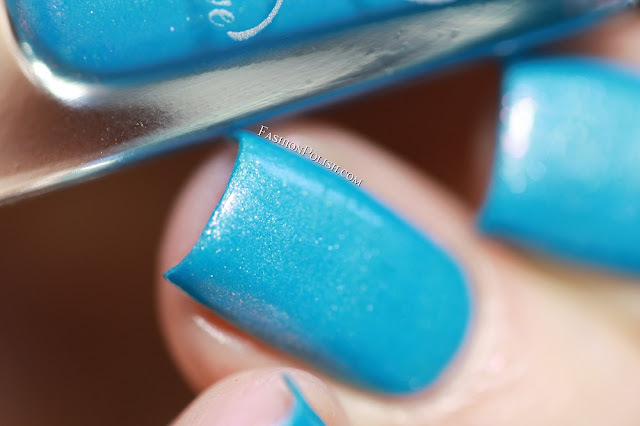 I used 2 coats plus topcoat in my swatches but it looks like a 2 to 3 coater to me. 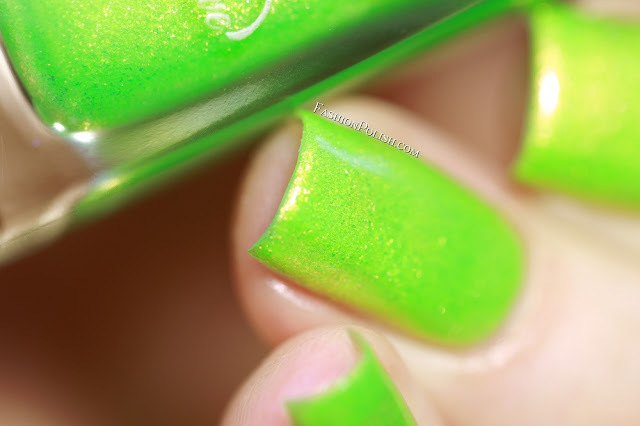 Radioactive is a super bright neon green creme filled with an intense red to gold to chartreuse shimmer. Wowzer guys, you *need* this polish this Summer, I love it sooo much! Formula was also perfect, making it an easy 2 coater. 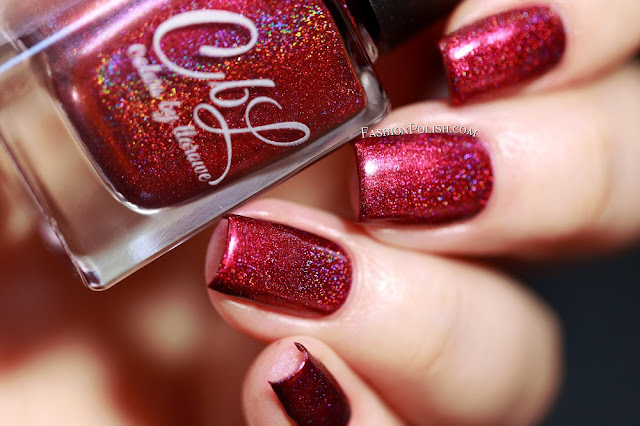 She Sells Sea Shells is a bright red based pink holo with a pink to lilac shimmer. I don't think I have anything quite like it in my collection and that's saying a lot! I used 2 coats plus topcoat. 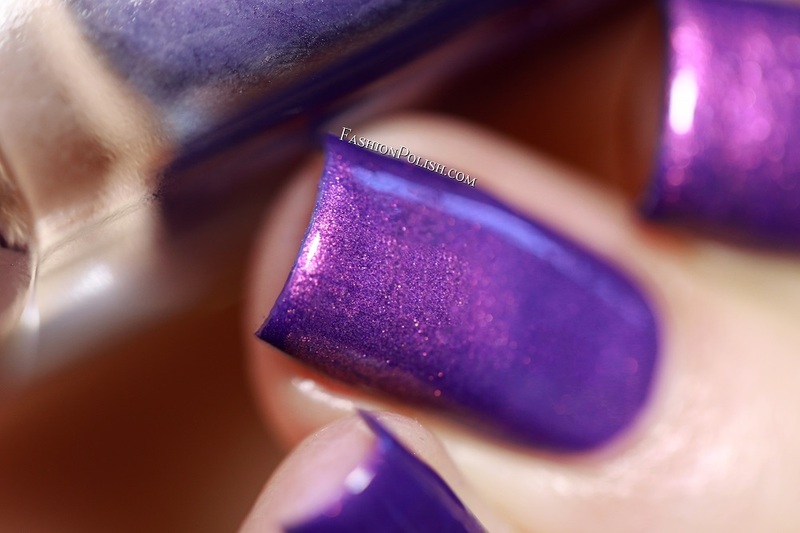 You're a Little Firecracker is a deep fuchsia hued red multichrome holo with a purple/blue flame that shifts from deep fuchsia to copper orange to bright fuchsia. 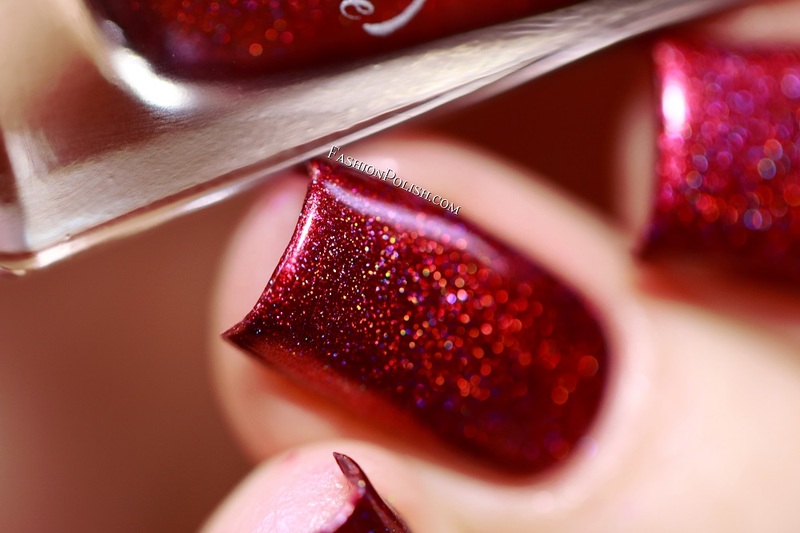 A beautiful vampy polish that literally glows! Shown below, 2 coats plus topcoat. CbL treats us with yet another beautiful collection. There's something for everyone but if you're curious about my favorites, I have to say that I'm partial to Radioactive, The Deep End (H) and You're a Little Firecracker. The Colors by Llarowe Spring/Summer 2017 collection is launching for preorder tomorrow May 1st at 12:00pmMDT on llarowe.com. And don't forget to mark your calendars for the additional May 2017 POTM and new Charity color releases! Individual shades retail for $11.